추석(Chuseok) is one of the most important holidays for Korean along with 설날(Seollal). The word Chuseok means ‘a Fall night’ which expresses ‘A day that has the brightest moon in Fall’. Chuseok is derived from Chinese letters, and the Korean word for Chuseok is 한가위(Han-gahWe). Han-gahwe means ‘The center of the month’ because Han-gahwe is August 15th on the Lunar Calendar. It is Korean Thanksgiving. It is a national holiday which everyone take 3 days off. The holiday starts a day before Han-gahwe and ends a day after Han-gahwe because families have to prepare food for a ceremony in early morning on the holiday. For food, they make a special rice cake for this holiday which is called 송편(Songpyoun). Songpyoun is a rice cake that is steamed with pine leaves, and it looks like a half moon(반달). Why does it look like a half moon even thought they celebrate for a full moon? 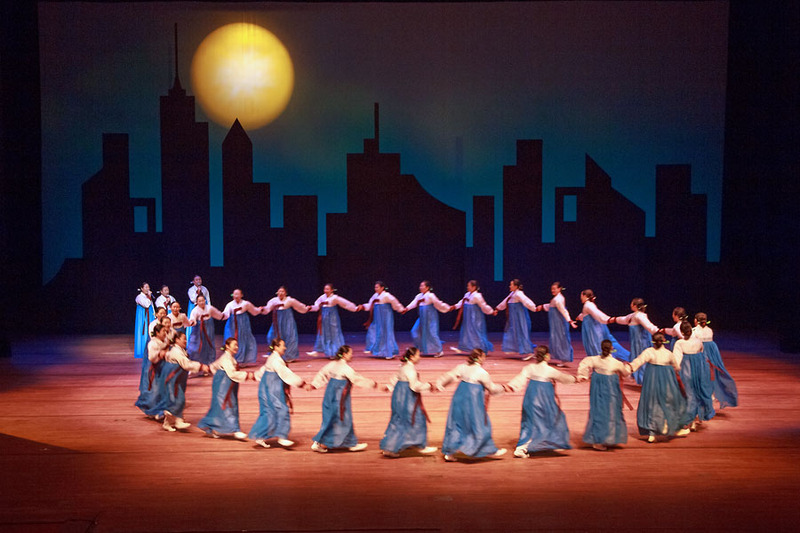 Old Koreans hoped their lives would be filled with happiness like a full moon(보름달) from the half moon after the holiday, not like the full moon becomes smaller after the holiday. At night, Koreans pray to a full moon for their happiness and health and appreciate mother nature for food. In the past, women went out with their female family members or neighbors dancing a special dance and singing for Han-gahwe. It is called 강강술래(Gahng Gahng Soollae). If you have Korean friends, tell them “Happy Chuseok!”. 즐거운 추석 보내세요! 즐거운 한가위 보내세요! 즐거운 추석 보내세요! Happy Chuseok! 즐거운 한가위 보내세요! Happy Han-gahwe! Next ›What is the difference between 나 and 저?